This is a photograph of Vernon W. Jackson wearing his U. S. Army uniform. He was raised by his aunt Victoria Murdoch-Hightower in Wichita, Kansas. 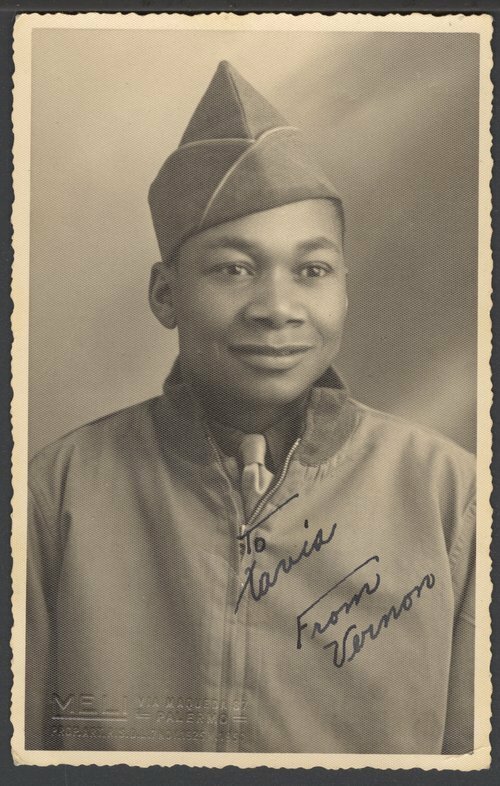 Jackson was a member of the 549th Quartermaster Laundry Company during World War II. The photograph was taken in Palermo, Italy.